An amazing camp = an amazing year on tap! There’s a strong sense of accomplishment when you finish a monumental task, and that feeling is all around SVUDL today- from student albums posted to Facebook to spreadsheets showing huge attendance and student satisfaction, there is evidence everywhere that SVUDL’s Savannah Walker Summer Debate Institute was a week that changed lives. Over 100 students attended, with a nearly even distribution of rising freshmen, sophomores, juniors, and seniors and a nearly even split between Peninsula students and those attending Title I schools in San Jose. Enormous learning took place for all of these students; youth who entered camp on Monday because "someone made them" were earning debate awards by Saturday. We invited Grammy-nominated artist Maimouna Yousef for a second year to perform and spend an afternoon leading an activism through song-writing workshop with Novice and JV debaters. Varsity debaters engaged at the highest level with this year’s topic of school reform, conducting research and building cases on both sides of this issue, AND we conducted the first bilingual debate in the country! These exhilarating successes have built enormous momentum for the coming season. With a core of students ready to engage their peers at all eight school partners and new Head Coaches enthusiastic about sharing revolutionary power of urban debate, the first team practices can’t get here fast enough! Debate attracts amazing young people- young people like Savannah Walker. Savannah was born in 1996 in Arizona but grew up with her parents and older brother in Louisville, KY. An accomplished scholar-athlete, she started a lacrosse team at her middle school and continued lacrosse and field hockey in high school. During high school she achieved a remarkable 89% success rate on shots she took on goal. A leader amongst her peers, Savannah graduated high school and enrolled in the University of Louisville as a recipient of the Woodford R. Porter Scholarship. This scholarship is awarded to African-American students graduating from a Kentucky high school who meet academic requirements and exhibit the aspiration to succeed and give back. She was quickly recruited onto the Malcolm X Debate Team at UL and was soon winning awards and tournaments. Within her first year, Savannah took 1st place in the JV division at the USC Alan Nichols Tournament, 2nd place in JV at the CSU Fullerton Kathryn Klassic Winter Debate Tournament and at the Samford Invitational, and cleared in Varsity at the University of Vermont Huber Debates. She also won multiple speaker awards in her impressive rookie year. Outside of debate and her studies, she found time to start the first UL Women’s Club Lacrosse Team and serve as its first President. Savannah declared a double major in Communications and Sports Administration with a minor in Pan-African Studies, and debate lit her fire for social activism. By her junior year, she had become a vocal advocate for equity and social justice whose capacity to dream big and realize her vision inspired those around her. When Savannah’s mother passed away, Savannah founded the Deborah Walker Memorial Scholarship Fund to support teachers seeking advanced training. Savannah tragically lost her life in a shooting incident at a concert at the Tim Faulkner Gallery in Louisville last March at the age of 20. Friends who were with her at the concert reported that Savannah pushed them out of the way of gunfire before she was shot. We are humbled to honor the legacy of Savannah Walker by dedicating the 2017 Summer Institute to this incredible young woman. SVUDL Summer Institute- train with Kiran Dhillon! It's not every summer you get to study debate with the best- unless you go to the SVUDL Summer Debate Institute every year! This year's instructor team includes Kiran Dhillon. She started debating in high school and quickly rose to compete at the national level. She attended the University of Iowa on a debate scholarship, and eventually earned a Ph.D. from the University of Wisconsin. This debate expert is also a skilled teacher, having taught debate at the Milwaukee High School of the Arts, Gonzaga University, and with the New York City Urban Debate League. She is currently employed by the University of Southern California as a lecturer and associate director of the USC Trojan Debate Squad. We spent a minute with Dr. Dhillon to get to know her. "My favorite debate memory is when Jim Schultz, Vince Binder*, and I got together to throw a football around between rounds at CEDA Nationals in Oklahoma 10 years ago." - What three words would you use to describe you as a debater? "Hard working, committed, and a team player." "I'm looking forward to working with all the wonderful students and amazing staff at this year's Summer Institute!" Don't miss your chance to learn from the best- register now for the Summer Institute! We're thrilled to announce that three amazing champions for youth are joining the SVUDL Board of Directors! Nadia Arid is a former debater who has taken everything debate can teach and leveraged it to enormous personal and professional success. A Phi Beta Kappa graduate of Stanford, where she was Community Outreach Director of Derechos, the Latino Pre-Law Society, Nadia earned her JD from Harvard Law in 2016. Her commitment to debate and social justice shine through her academic career, from her work co-founding the Eastside College Prep Debate program, to serving as President for the East Palo Alto Youth Court, to her work as a Ford Foundation Fellow at the National Immigration Center in Los Angeles. She has taught debate to hundreds of young people and has seen time and again how this smart sport can open a mind and change a life. Chris Hersey, a Silicon Valley native and former CA State Champion in policy debate, also knows the way debate can empower a promising young person and shares SVUDL's commitment to helping young people unlock their potential. He serves on the Legal Advisory Committee has played a major role in supporting our debaters as they prepare for Moot Court each spring. Chris has more than 19 years of civil litigation and trial experience, focusing on construction, contract, business, and commercial disputes. Before founding Ventura Rossi Hersey & Muller, LLP in 2013, Chris was a litigation partner for nine years at Miller Morton Caillat & Nevis, LLP in San Jose, CA. He lives with his wife and two high-school aged children in San Jose. Chris is a longtime season ticket holder of the San Jose Earthquakes soccer team, and an amateur astronomer. A nationally recognized speaker, panelist, and author, Leslie Spencer is a registered patent attorney and partner in the IP litigation practice at Rope & Gray, where she also co-chairs the firm's diversity committee. She first learned about SVUDL though its legal career mentor program and is currently an active mentor. She serves on the Legal Advisory Committee and sees enormous promise in SVUDL's work to diversify the Legal Career Pipeline. Prior to practicing law, Leslie worked for financial services and e-commerce companies and supervised the development of a smart card-based secure transaction system. Please join us in welcoming these passionate advocates to our Board! Like many SVUDL debaters, Tamiera, a Senior at Woodside, only began participating in debate partway through her Senior year. Like many of the superstars that appear as Debaters of the Week, she jumped into the deep end and immediately distinguished herself, earning the Top Speaker award in all of the competitions she has entered. Such rapid success suggests that Tamiera has been a pro at public speaking her whole life, but it took hard work and real courage for her to get to this point. When she first joined debate Tamiera suffered from 'podium fright:' "If there were too many people watching, I'd start to stutter," she recalls. Time and practice moved her past this long-held fear of public speaking, and she sees "getting over [it] as my biggest accomplishment. Now it feels natural!" She's noticed that her involvement with debate has led her to participate more in class and has improved her communication with others in general. She's happy to debate whatever topic is assigned, but felt particular connection to the topic of gentrification due to her direct experience with this issue. Tamiera is grateful to SVUDL's Shauntrice Martin for sparking her interest in debate and serving as a role model, and credits much of her debate success to Shauntrice's advice. She is also deeply inspired by Shauntrice's confidence in who she is. "She's always herself, she is authentic and doesn't change her ways for anyone." Unlike most debaters, Tamiera isn't interested in law school. Instead, she hopes to apply her talents to community building and social justice working as a social worker or probation officer. She will enroll at the College of San Mateo this fall and is eyeing the possibility of starting a debate club. Eventually, she plans to transfer to the University of Alabama. Congratulations Tamiera on earning this week's Debater of the Week honor! Year over Year, and what a year it's been! As the 2016-17 season draws to a close, we have many successes to celebrate- many of which have been highlighted right here! There was Denise reaching the finalist stage for National Urban Debater of the Year, an inspirational Moot Court, and continued growth seen in our alumni as they flourish in mentorship roles. The numbers from the season tell this same story. Attendance at the 2016 Summer Institute more than doubled levels from 2015, and the number of Core Debaters (those students attending at least one tournament) were also twice as high as last year. We more than tripled the number of teachers we trained. All of this in a year when we weathered one of the most challenging evolutions a young organization can face, transitioning to new leadership as our Dmitri Seals, our founding ED, moved to southern California and Monica Spear took over the reins. SVUDL has truly thrived this year, and we are deeply grateful to each and every person who made that possible. From our staff to our Board to our donors to our teacher-coaches to our incredible volunteers, everyone has made critical contributions to our success- and, most, importantly, to the growth and success of the hundreds of amazing young people we serve! Junior year is a tough one with taking the SATs, seriously prepping for college applications, and entering the whirlwind of being an upperclassman. For Gustavo Morales, junior year meant ramping it up even more by taking on the role of Team Captain at SVUDL's new team at East Palo Alto Academy. Gustavo won "Debater of the Day" at the Pumpkin Classic Tournament- his first SVUDL event! It's no surprise that Gustavo stepped into debate and the role of Team Captain smoothly and naturally, since his love of public speaking and oration date back as far as he can remember. The nervous butterflies that most people feel when they stand in front of an eager and listening audience have never fluttered in Gustavo's stomach. Instead, confidence and charisma fill him up as he prepares for policy debates, classroom presentations, and--most recently--Moot Court, where he stepped in as an alternate and wound up at the podium! Gustavo's signature confidence and charisma have at their foundation a desire to work hard and constantly improve. In fact, one of his role models is Lebron James because "he uses criticism to make him work harder and strive for greatness; so when he isn't doing very well he uses that as motivation to become better." Gustavo's prep and focus on taking feedback from his team and coaches has served him well, earning debater of the day in his very first debate competition. With another school year still ahead, Gustavo is a debater and a leader to watch. He plans to pursue a career in law where he can advocate for policies that support the pursuit of the American Dream. Congratulations, Gustavo, for your amazing performance at Moot Court, and for being this week's Debater of the Week! 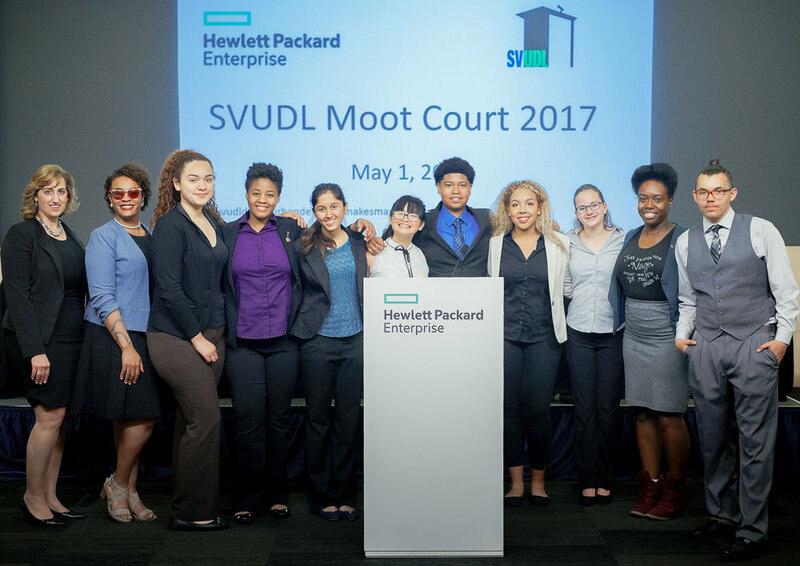 Six rising SVUDL stars will argue before sitting 9th Circuit judges at the 2nd Annual Moot Court on May 1. This event gives our top debaters the chance to significantly advance critical thinking, argumentation, and public speaking skills. The students are already spending hours building the case around an issue the US Supreme Court is expected to rule on days after this event. As part of the lead-up to Moot Court, we're dedicating the next few Debater of the Week profiles to Moot Court debaters. This special series launches now with Esme Cordova! Esme is a Junior and 2nd year debater at East Palo Alto Phoenix Academy. Esme and her partner Nyisha have worked well together since their first competition, earning fifth place at that event. Esme, however, isn't one to talk about her accomplishments in terms of places and wins, preferring the more substantial measure of personal development. "One of the biggest accomplishment...is that I learned to be more open-minded. Being in debate opens up your mind. Esme also credits debate with helping her build confidence. "Before, I was afraid to talk in front of people. Since I have debated I lost the fear of talking in front of people and I feel more confident in myself. " While many debaters are excited about pursuing a career in law after college, Esme plans on a double major in medicine and business, knowing she can take what she has accomplished in debate and apply it to her studies across disciplines. Feeling confident to speak up and defend your ideas, welcoming other's ideas, and nurturing a hunger to learn are all critical aspects of being successful no matter what you pursue, and Esme has developed these traits in debate. This is why she strongly recommends joining debate to her peers. Her success in tournaments is just the beginning, but holds a tantalizing preview of how well she will do at Moot Court. Congratulations Esme on being this week's Debater of the Week! This past Saturday, SVUDL students came together for the last chance to test their skills in a tournament setting before the League Championships on May 6. Thirteen brand new debaters attended, including 2 from Overfelt, 2 from EPAA, 6 from Silver Creek, and 3 from Live in Peace. SVUDL's student leaders deserve enormous praise their work in making the case for debate to their peers. It's remarkable to have so many new students, so evenly distributed among schools, at an April tournament! Vilituituukakalaolabaha Vunga and Clarence Jackson went undefeated and took the First Place Team prize. Second Place Team went to Tamiera Wood and My Nguyen. For the second tournament in a row, our Junior Novice Top Speaker was Tamiera Wood! Of course, it's not only about debate- it's also about forming a supportive debate community. The Spring Scrimmage judges were almost entirely students from SJSU, DeAnza College, and Stanford. These young adults serve as powerful role models for our current debaters, helping them see what life can look like 2-3 years down the road. Congratulations to everyone who attended on Saturday- you've got the edge for May 6! It's never good to get into an argument with Kimberly Lam. She's a very kind and positive young woman, but don't let that fool you- beneath that exterior lurks a passionate and tenacious policy debater constantly striving to excel. Most recently Kim was named the Top Varsity speaker at the Ella Baker Tournament, but she's been collecting awards all year. She will be a strong representative of Silver Creek HS at the 2nd Annual Moot Court on May 1. With experience across the board in policy debate, mock trial and now moot court, Kim's oration expertise has exploded over the past 18 months. This is why it's so surprising that she didn't actually love debate at first. "I joined late in the year and was confused about what was going on. I didn't do well in the beginning, losing 6 out of 6 rounds in my first competition." But with grit, time, and focus, Kim turned that challenging experience into inspiration to build her debate skills and find the confidence to step out of her shell. For students considering debate, Kim advises: "Just go for it! You learn the most from the tournaments. Don't be afraid of losing. Think of losing as motivation...don't be afraid to put yourself out there--and don't worry about being smart enough or articulate enough, because it's the best way to learn." This advice resonates with the way SVUDL Director of Programs Ms. T. describes Kim: "She is quickly developing as a leader on her team...focused, determined and hardworking." Outside of debate, Kim is secretary of the A Capella club and recently performed twice for the vice mayor! She is also passionate about volunteering and helping people in the community through her involvement with the Red Cross. 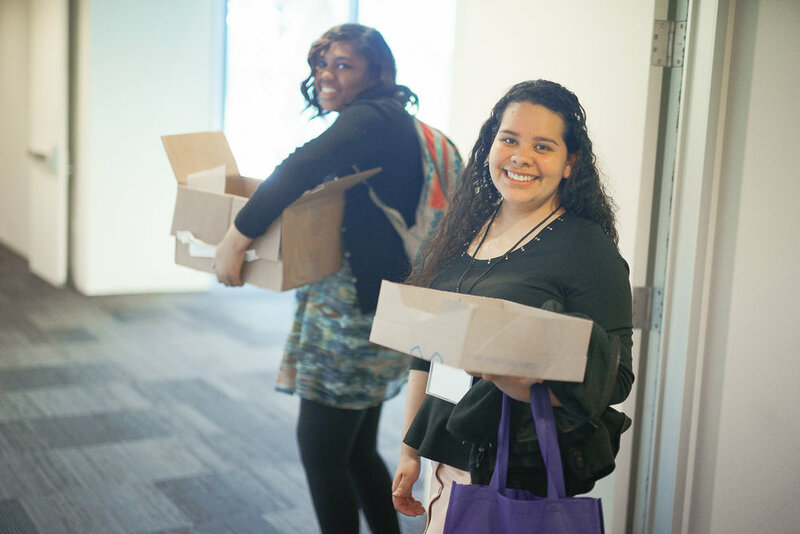 Down the line, she plans to pursue a career in law with a focus on social justice. Join us in congratulating Kim, and don't miss your chance to see this young woman shine at the May 1 Moot Court! Several of SVUDL's debaters are heading to the Santa Clara Philalethic Invitational this weekend- including this week's Debater of the Week, Mia! Mia Cadet, junior at Woodside High School, is a killer policy debater ready to tackle your hardest international conundrums. While it's only her first year of debate, she's already lighting a fire in her first tournaments--placing top 5 in all of them, and nabbing 1st place speaker in her most recent tournament appearance. When asked how debate has changed her, Mia enthusiastically describes how policy debate has transformed her worldview. She calls it "eye opening" and "awesome intellectual stimulation"--crediting debate for broadening and deepening her worldview and international understanding. It all started when SVUDL's Shauntrice Martin visited Mia's debate class, posed her own argument, and invited students to present opposing views. The dialog and the effortless way Shauntrice listened and engaged drew Mia in- not only was it intellectually intriguing, but Mia deeply appreciated how Shauntrice interacted with the students as equals. With this intro, Mia was hooked, joining the debate team shortly after. Mia is also active in musical theater and runs track. She sees close parallels between debate and theater- both present an opportunity to share a story with an audience. It's in debate, Mia explains, that you discover passions (for topics) you never knew you had and truly find your voice. Mia tackles school, debate, theater, and track with the velocity only achieved by dedicated hard work, passion and capacity. We're excited to see her shine at the Invitational this coming weekend. Join us in wishing Mia and all of her SVUDL peers luck, and in congratulating her on being named Debater of the Week! This week, Regional Program Director Shauntrice Martin weighs in with her thank you message to EPAPA! First, a huge Thank you to all the EPAPA staff for their support of the debate team this season. Congratulations especially to coaches Jessica and Hanna for their hard work and determination over the last two years. This season, EPAPA's debate team had 16 students represented in at least one tournament. The team is only 4 new debaters away from reaching its team goal of 20 debaters for the season, with several months left in the season! Juniors Blanca Valencia and Kierra Jackson qualified for the National Urban Debate League Championship in Chicago! In last month's Richard T. Young Speech competition, EPAPA claimed the top three speech awards along with a little bit of scholarship money: Blanca Valencia placed FIRST, SECOND place went to Nyisha Young, and THIRD went to Kierra Jackson. The Cesar Chavez Regional Debate Tournament will be held on Thursday March 30th at Kirkland & Ellis Law Firm. Four EPAPA students will be chosen to compete against the other students in the region. We are targeting seniors for this opportunity since the winner will be offered a paid summer internship. We are all excited about how much the team has grown. We have a few higher profile opportunities coming up soon and Shauntrice is working closely with students and coaches to make sure the team grows even stronger. EPAPA is a shining example of how quickly a debate program can achieve solid stability to spur student success.